Nearly every head is now adorned these May evenings with ribbons, feathers, jewels, flowers and turbans, all decorating well-groomed heads. Colors usually match the evening gown, or the flowers or shoes worn. Jewelled clips, brooches, combs, and other hair-ornaments accompany smart evening gowns. 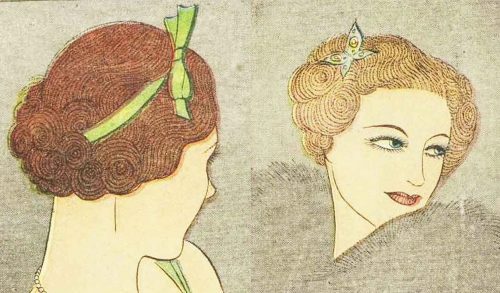 Study your face and coiffure intently before trying any headdress, and decide which one would really become you. 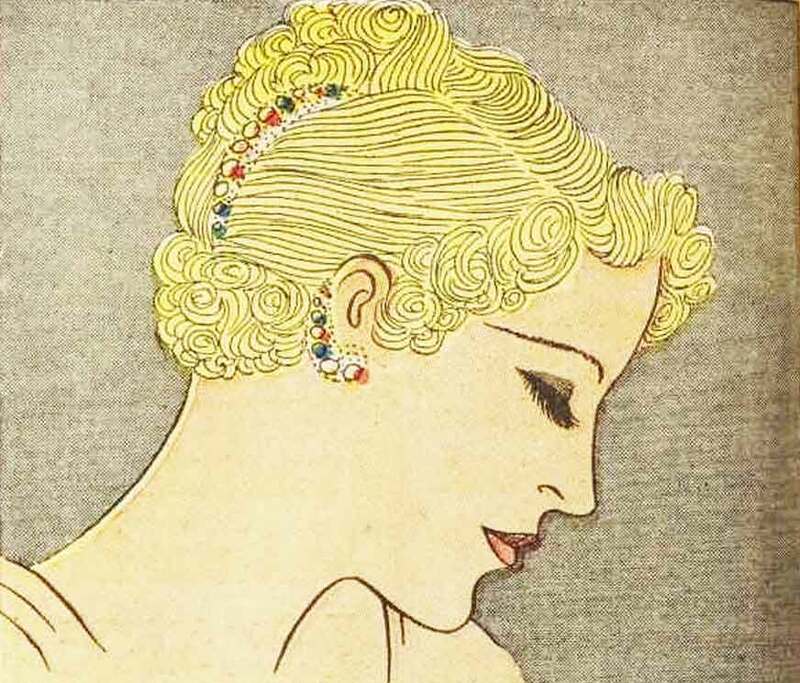 Large pieces of colored stones are set in gold for this hair comb and clip earrings. Left: Green velvet ribbon encircles the head and ties in a bone at one side. Right: Stuffed butterfly ornaments this well groomed head. Left: Black osprey feathers standing up curled forwards for this halo headdress. 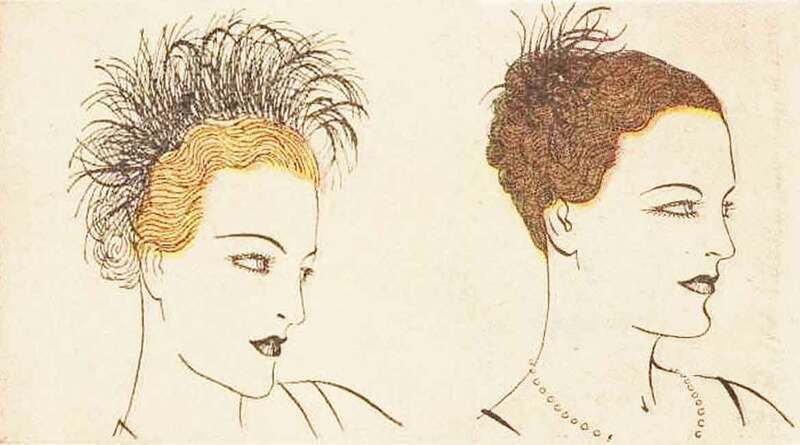 Right: A spray of curled ostrich feathers coming from a jewelled clasp. 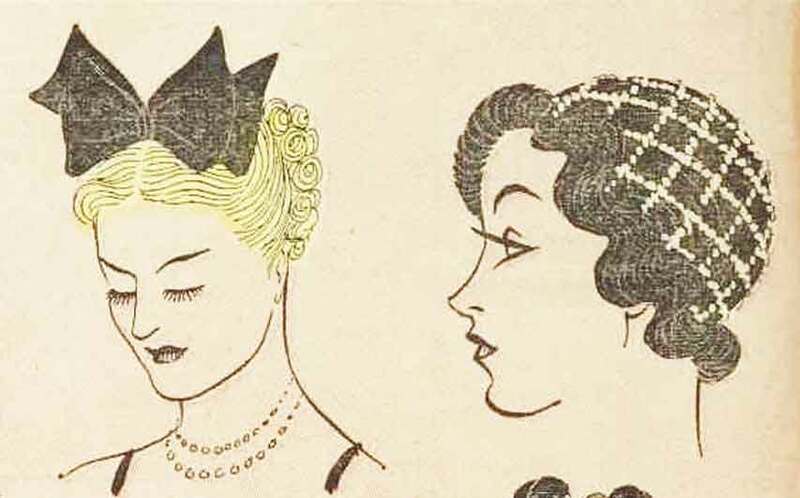 Left: A prim black taffeta bow is worn across the top of the head. Right: The famous Juliet cap of white mesh, pearl embroidered. Left: Molyneux headdress in two shades of velvet. 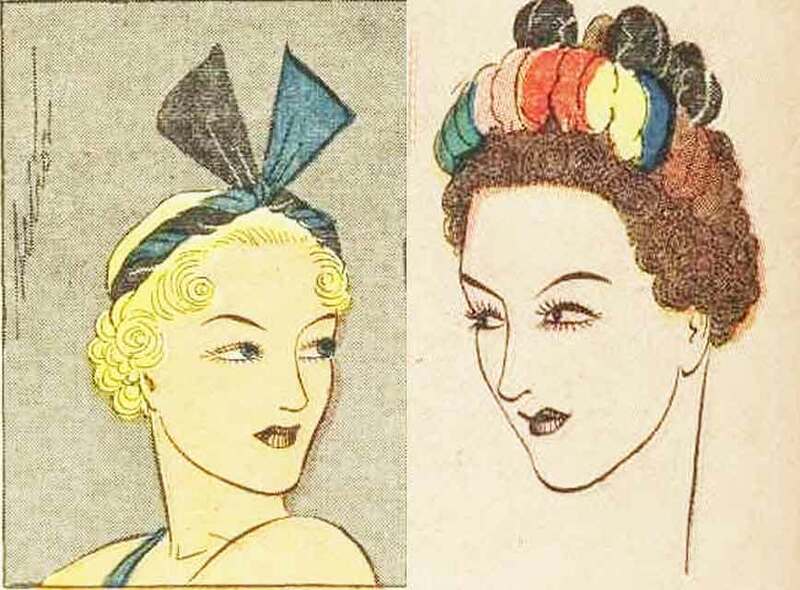 Right: Little curled tufts of colored ostrich feathers form an evening tiara. 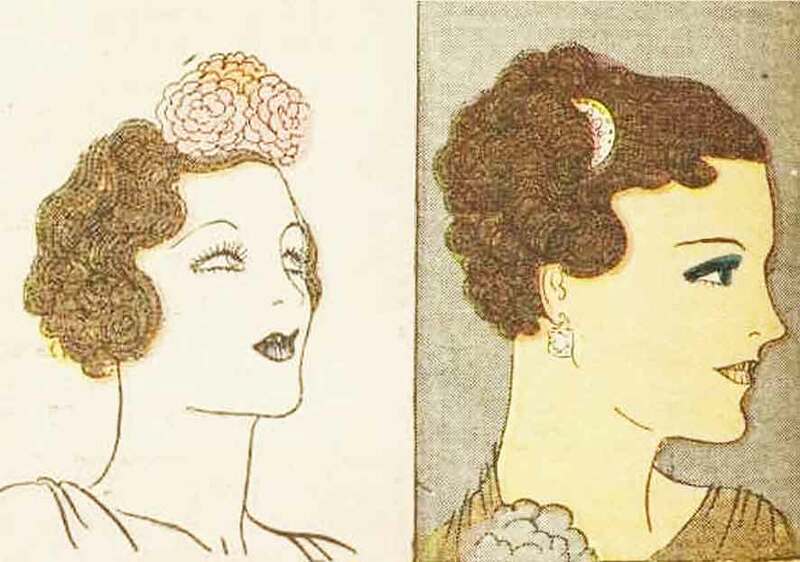 Left: A Posy of shaded mauve flowers is worn right on top of the head. Right: Brushed-up curls in this coiffure are held by a paste clip, crescent shaped.